I’m a huge fan of Kindred, a collective boutique in West County Center. I always find the coolest items from the 7 boutiques housed in this one store (see evidence here). 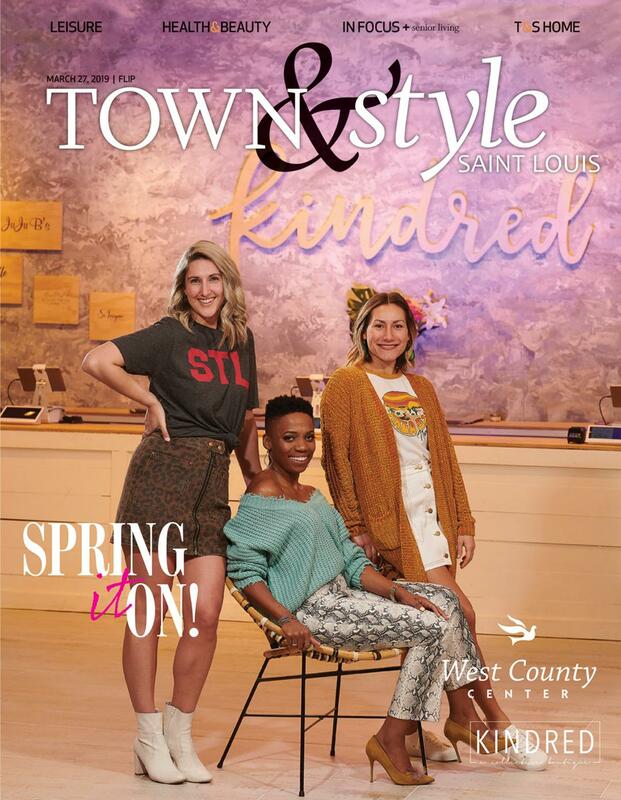 So, I’m beyond thrilled to be representing Kindred, along with fellow bloggers Mary Powers and Christine Frisella, on the cover of the latest issue of Town & Style. If you’re in the St. Louis area, grab a copy. If not, get a peek at the issue online here. Mary, Christine, and I are wearing outfits we styled using items from Kindred boutique. If you see something you like here, swing by Kindred to shop it for yourself. Psyche, you just SHINE on the cover! Styling is top notch per usual. Love it! !